Now that it is time to get started on fitness and health, you are probably wondering what the best way to do it is. Running might be the easiest cardio exercise to consider, but it can be challenging and boring. When the monotony turns you off, it will no longer help you burn off that extra fat. This is why, many group exercise programs have been strategically designed so you will have more fun and stay engaged. 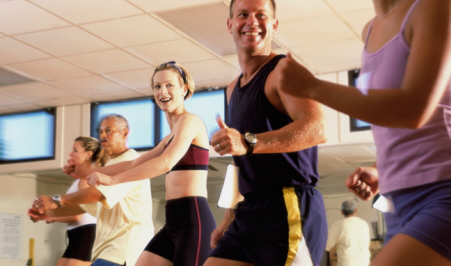 By having fun while exercising, you will return to class and you will stay motivated. Zumba tops these programs because its variety of dance styles and forms are easy to follow. It is so much fun you won’t even know you are exercising. Zumba fitness has gained popularity. The workout is done with FUNtastic dance moves to the beat of mixed Latin rhythm music that makes you want to groove. As your whole body dances with the beat, you will benefit from an intense cardio workout that maximizes fat burn. Each step targets your problem areas and tones your muscles, especially when paired with proper diet and nutrition. Zumba workouts in Canton, MA are not only for good dancers. This dance exercise class is effective for all fitness enthusiasts whose goal is to lose weight and get into shape. Zumba fitness instructors start with the basic moves and gradually progress through different levels, giving you an extra challenge while having fun. To find out more about Zumba fitness classes, contact Answer is Fitness in Canton.